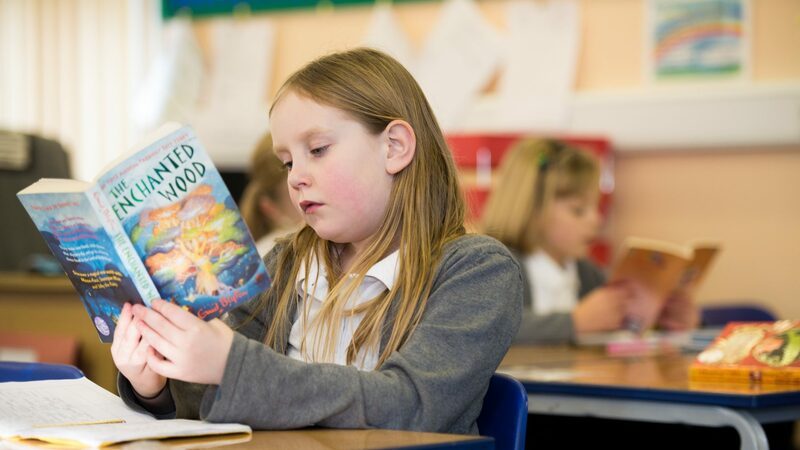 Each year in school we participate in science week by focusing much of our learning around science! This year our science week begins on 11th March. The week starts with an assembly showing children some simple science experiments they can do at home. In these assemblies we have made lava lamps, a human circuit, hovercrafts and investigated colour using skittles! We challenge the pupils to try a science experiment at home. It could be one that they have seen in school but there are hundreds on the internet you could try. Below is a number of easy experiments to try. Once they have found an experiment to try, complete the given form and take a/some pictures of your experiment and return it to Mr Clarke by the end of science week! Arrange the Skittles in a single row coloured pattern around the edge of the plate. Pour over enough warm water to cover all the Skittles and the plate itself. Watch and wait as a rainbow appears on the plate, the colours will move towards the middle and create a whirl of colour. Glue the water bottle lid to the CD, so that the two holes match up – i.e. the opening of the lid should sit over the central hole in the CD. Now push the pop-up lid to the closed position. Blow up the balloon. 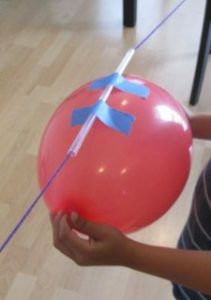 Without letting it deflate (tricky) stretch the opening of the balloon over the top of the pop-up lid – just over the push-up bit. Find a nice big empty space on the floor (tiles or floorboards, it won’t work on carpet) and pull the pop-up lid to the open position. Set the hovercraft on the floor and watch it slide around. Now drop food colouring into the ‘cloud’. 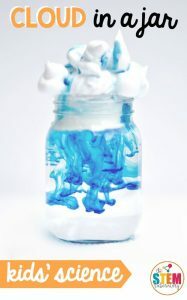 As your cloud fills up, the food colouring will fall down into the water creating a rain-like effect. Clouds are formed when water vapour rises into the air. When the vapour hits cold air, it turns back into droplets of water. Those tiny drops of water floating in the air collect and “stick” together to form clouds. When clouds get so full of water that they can’t hold any more, the water falls back to the ground as rain. Juices that have different density levels. The density of a juice is often determined by how much sugar or fruit is in it – the more sugar or fruit, the more dense the juice is. Powdered and canned juices do not work well for this experiment since they are almost entirely water. 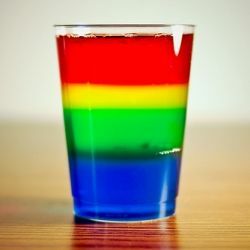 You will have to do some experimentation to find juices that are colourful and give a nice display of density, and that’s half the fun. 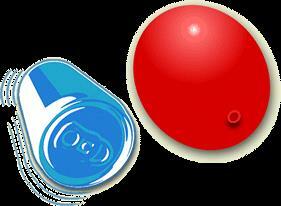 Add 10 drops of food colouring to the bottle (we like red, but any colour will look great.) The drops will pass through the oil and then mix with the water below. To begin, the oil stays above the water because the oil is lighter than the water or, more specifically, less dense than water. The oil and water do not mix because of something called “inter molecular polarity.” That term is fun to bring up in dinner conversation. Molecular polarity basically means that water molecules are attracted to other water molecules. They get along fine, and can loosely bond together (drops.) This is similar to magnets that are attracted to each other. Oil molecules are attracted to other oil molecules, they get along fine as well. But the structures of the two molecules do not allow them to bond together. Of course, there’s a lot more fancy scientific language to describe density and molecular polarity, but maybe now you’ll at least look at that vinaigrette salad dressing in a whole new way. When you added the tablet piece, it sank to the bottom and started dissolving and creating a gas. 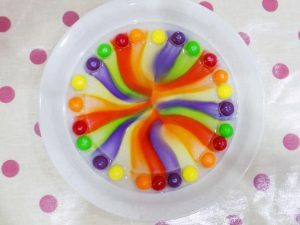 As the gas bubbles rose, they took some of the coloured water with them. 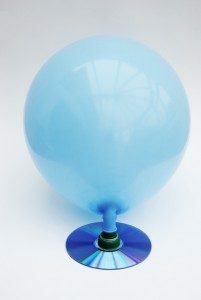 When the blob of water reached the top, the gas escaped and down went the water. Cool, huh? 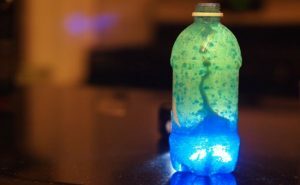 By the way, you can store your “Blobs In A Bottle” with the cap on, and then anytime you want to bring it back to life, just add another tablet piece. Pour all of the glue into the mixing bowl. Leave about 8 inches of wire loose at one end and wrap most of the rest of the wire around the nail. Try not to overlap the wires. Cut the wire (if needed) so that there is about another 8 inches loose at the other end too. 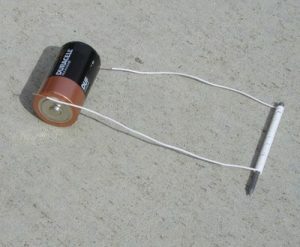 NOTE: Making an electromagnet uses up the battery somewhat quickly which is why the battery may get warm, so disconnect the wires when you are done exploring. Most magnets, like the ones on many refrigerators, cannot be turned off, they are called permanent magnets. Magnets like the one you made that can be turned on and off, are called ELECTROMAGNETS. They run on electricity and are only magnetic when the electricity is flowing. The electricity flowing through the wire arranges the molecules in the nail so that they are attracted to certain metals. NEVER get the wires of the electromagnet near at household outlet! Be safe – have fun! Try This Too: While you’ve got the balloon out, tear up part of a tissue into tiny pieces about 1/4 inch (.5 cm) big. Rub the balloon in your hair again and bring it close to the tissue pieces. They will be attracted to the balloon and then jump away. This works a lot like our bending water experiment. 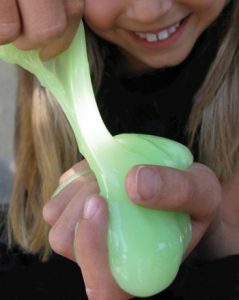 When you rub the balloon through your hair, invisible electrons (with a negative charge) build up on the surface of the balloon. 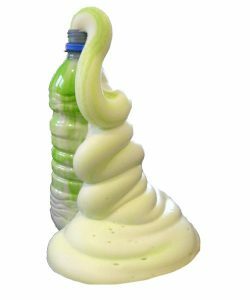 This is called static electricity, which means “non-moving electricity” The electrons have the power to pull very light objects (with a positive charge) toward them – like the soda can. 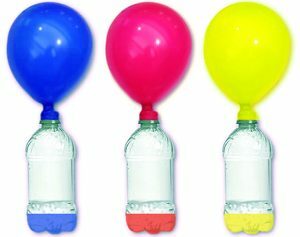 Blow up the balloon and tie it. Then rub it really fast through your hair for about 10 seconds. This will add a static charge. Slowly bring the balloon near the ghost, and the ghost will begin to rise toward the balloon. 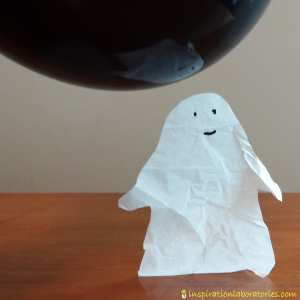 If the balloon is charged enough, the ghost will rise and float right up to the balloon, even when it is several inches away. With a little practice, you can get the ghost to rise, float, and even dance around.